We’ve been putting in the hours this weekend! 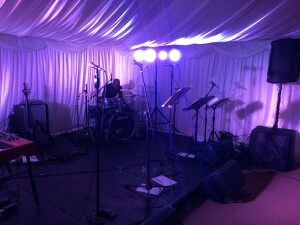 Vibetown performed at two awesome Wedding & Function Party Band Gigs this weekend, one close to home and one not so close to home! 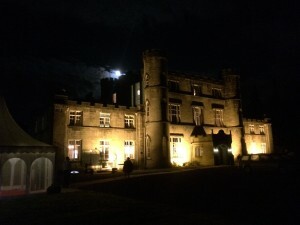 Vibetown made the 223 mile trip and 4.5hr journey up north and over the border to perform @ Melville Castle, a classy Wedding & Function venue just outside of Edinburgh in Scotland. It was a bit of a huge drive, but we managed it and are somewhat used to this kind of thing now. 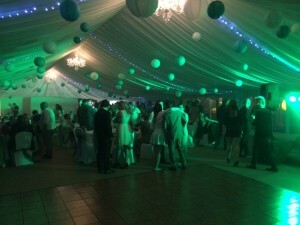 Vibetown played just outside Melville Castle in a permanent Marquee that is set up all year round especially for Weddings, Corporate Events and Private Parties. 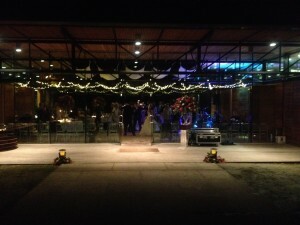 They have a large area which caters easily for 150+ guests and stage area for the band to perform as well as a decent sized dance floor for people to through some shapes on. The only downside to this venue is that they have a sound limiter ON STAGE!!! Now, we are used to working with sound limiters and usually this isn’t a problem at all as they are set either outside of the venue or at a reasonable distance from the performance area. This one however was right on the stage… it was far from ideal as we had to perform as best we could at an uncomfortably quiet volume. 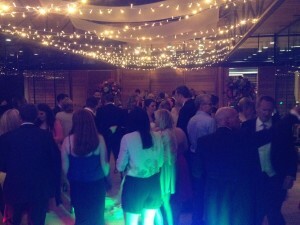 The groom and guest kept asking us to turn it up! But unfortunately we couldn’t oblige due to the rather strict regulations the venue imposed and the rather unreasonable decibel limit. Still, despite this dampener the crowd still loved it and every got up and danced! 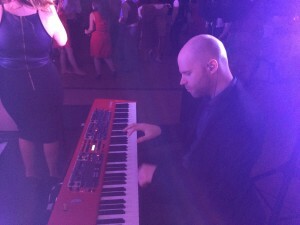 We played a mixture of tunes and even a few rockier numbers at the request of the Bride & Groom… despite the low volume its still worked pretty darn well!